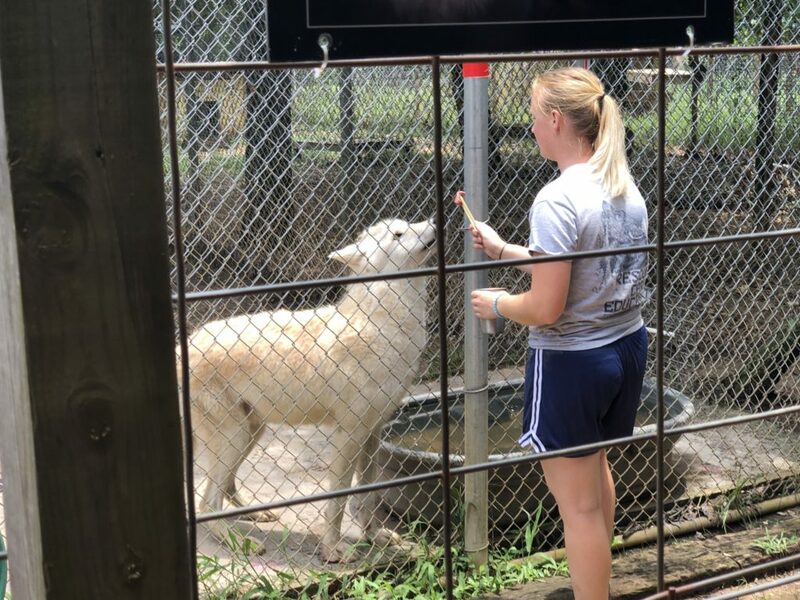 If you ever find yourself in or around Houston, Texas, try your best to make a trip out to the Saint Francis Wolf Sanctuary in Montgomery, about 50 miles outside of the city. 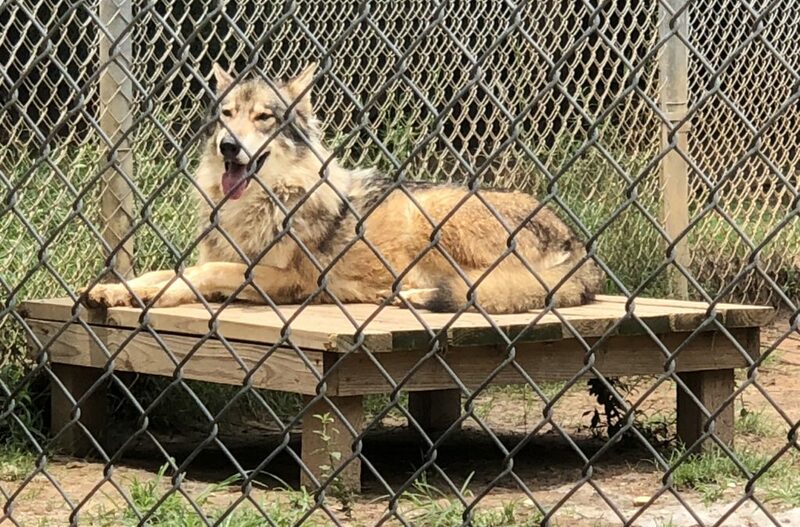 Having lived in Texas the majority of my life, I was equally shocked and pleasantly surprised to find that one of the best, if not the very best, wolf sanctuary lies right here in the Lone Star State. Which, if you really think about it, is somewhat ironic as wolves are not found naturally in Texas’ wildlife, due to their eradication in the 1970’s, which I learned upon visiting the sanctuary. For a person who knows, respects and values a wild animal’s place in nature, I’ve never come to understand why a person would think it’s a good idea to house a dog that is, in actuality, a wolf. Sure, in the right circumstances, perhaps. But don’t let the striking presence fool you, wolves are wild animals, and not meant to be kept as house pets. Although I already had enough sense to know that, I was amazed to hear the stories of the wolves there at the sanctuary. And true to form, my two daughters and I were greeted to the sound of howling by a large, wooly wolf that lives inside a spacious enclosure near the front entrance. As the owner of a rescued Siberian Husky/Alaskan Malamute mix, I would say that I’m partial to the appearance of wolves as they remind me of my dog at home. But there are so many things I didn’t even realize that differentiate a wolf from a husky, in particular, despite the husky being the most closely related dog to a wolf ancestor. But you don’t have to be a husky owner to appreciate the rare wonder and beauty of these dogs at the sanctuary, each with their own colorful story to tell and beauty that captivates you. 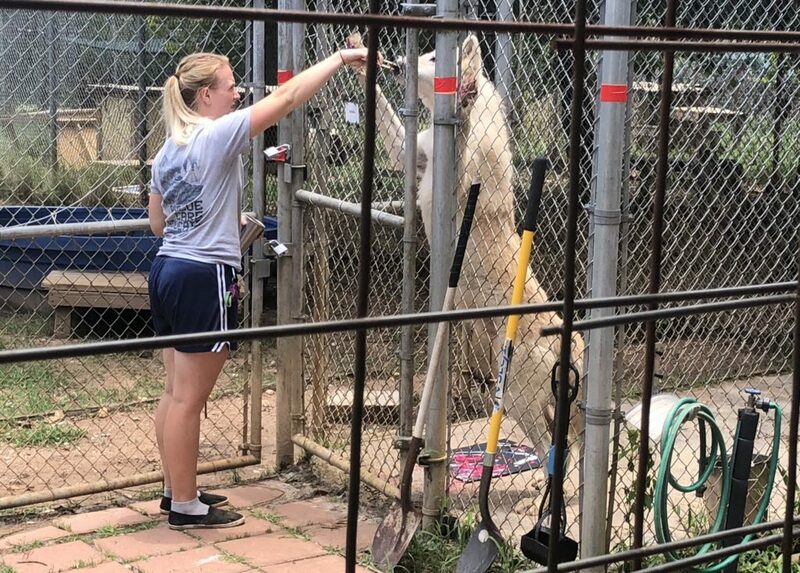 The tour took off right as scheduled, with the property manager, Brittany, guiding us through the facility and sharing each of the wolves’ stories. Most, excluding just a few, were surrenders from individuals. The story typically the same, the “dog” was destructive, too much to handle, had an incredibly high prey drive, kept escaping, bit their owners or other humans, and sadly, the list continues. The dogs/wolves there range from low content to high content wolf dog, with Achilles–a handsome white male Arctic wolf dog, only 2% “dog”, and boy, was he smart! We were treated to a show with Achilles, watching him “paint” with his paws and performing skilled tasks upon request for a raw meat treat. Needless to say, he cleaned the handler out of all those treats. It was an incredible site to watch an almost full wolf perform tricks just as a dog would. Still, the handlers there understand the threat imposed to their personal safety when dealing with these beautiful creatures. They are wild animals that can react to sudden shifts or movements and the utmost safety precautions are taken to ensure the safety of all the staff on site. Achilles being the good boy that he is, even cleaned himself off with a little impromptu bath afterwards! My heart broke listening to the stories of these misunderstood creatures, judged for their looks and thought of as possessions. One beautiful boy, Raja, who was actually a low content wolf dog was left abandoned in a man’s backyard once he was incarcerated. 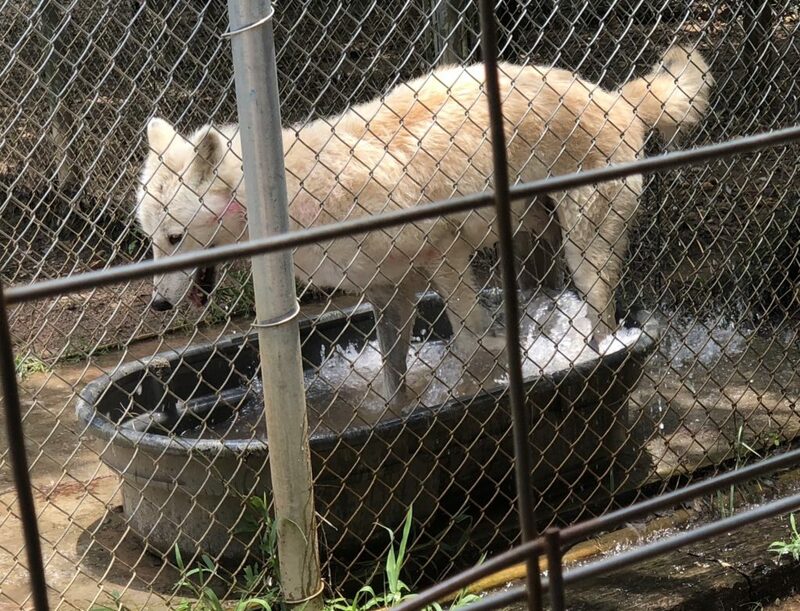 It wasn’t until neighbors heard the sounds of howling did anyone realize that something was, in fact, very wrong at this man’s home. Luckily for Achilles and Raja–as well as all of the other wolfdogs at the sanctuary, the kind hearts there give them all the care they need to live out the rest of their days in complete peace. Through guided on-site tours, off-site presentations, and other outreach avenues, we seek to provide accurate, engaging information about the animals we love so dearly – both in the wild and in captivity. Finally, we seek to educate guests about the hardships associated with owning a wolf or wolfdog. All of the amazing work done for these often misunderstood beautiful animals wouldn’t be possible without help from the public. If you’d like to help in any way, please visit their website for ways that you can pitch in and make a difference in the lives of these lovely dogs/wolves. And if you ever do get a chance to visit, I promise that you’ll be happy that you did.